Our team aims to support the individual’s developmental needs. With knowledge of a client’s well-being and health, our team of professionals will work closely with the family and individual to determine the appropriate methods and avenues to take. We strive to be the most supportive team of therapists to our clients. Our highly specialised and knowledgeable team works with Dr. Margaret Kyrkou to ascertain the individual’s medical wellbeing, health and challenges and how these may be affecting their development. Dr. Margaret Kyrkou is a GP who specialises in Disability and Developmental Delay. 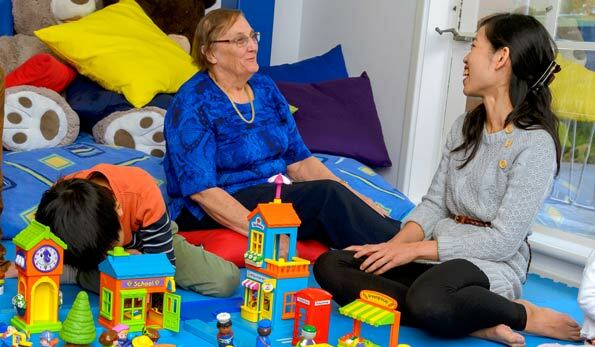 Dr. Kyrkou provides individuals and their carers with information and basic counselling around the individual’s disability and how this may impact learning and development. Dr. Kyrkou and the family work closely with the My Therapy HouseⓇ team and other medical consultants to facilitate the individual’s optimal health and wellbeing. Our well-being is at the core of our ability to think, learn and develop. If we are not well, we are not able to optimally function in our daily lives.